The Infinity Cave Game is a new mobile and tablet game that combines Maze & RPG. The cave map is created in a bespoke way each time, ensuring game play is made as unique to each user as possible. The aim of the game is to find the way out and whilst doing so, beat the bad guys on the way. This game has been very well designed and developed by Kwok Chun Hin, and we congratulate him on creating a fantastic game. 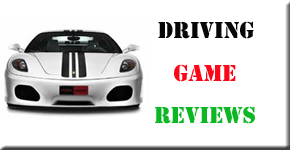 This game has been tested by 4 of the Game Reviews team and we have to say, all four of us have thoroughly enjoyed playing the game, 2 of the team have decided to take a look at some of the other games that this developer has created. 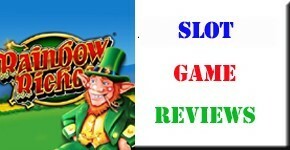 If you would like to view more games, then please check out the resource links lower down the page. We have also compiled a Review System for this, of which the Infinity Cave game is Rated as Five Stars, the highest possible score available from the Game Reviews Team. What a game, truly a refreshing change in the world of Role Play Gaming, Bravely Default – Flying Fairy is a fantastic new edition from Square Enix. The game is a traditional RPG offering outstanding graphics and very good game play, a true master piece for the gaming community in 2012. 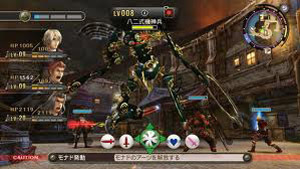 The game was launched in Japan on the 11th October 2012 with tremendous reviews from the Japanese gaming community. The rest of Europe are now awaiting the world wide release of this game and we anticipate this to be one of the Top Selling games this Christmas. The general game play is simple yet exciting with new levels and challenges set out on the journey through the Warrior world. The land of Luxemdarc is a scary place, full of twists and great game play challenges, a true classic from Square Enix. This game has been releasesd in Japan on the 11th October 2012 – We cant wait to hear from other players around Europe as this is set to blow the record books out the window. We have compiled a Review System for this, of which Bravely Default – Flying Fairy is Rated as Five Stars, the highest possible score from the Game Reviews Team. The website address for Bravely Default – Flying Fairy has not been created as yet. Arsenal of Democracy takes players on a journey through one of the most difficult and historic periods the world has ever seen and we have to say this game is great fun right from the word go. The aim of the game is for players to take control of any nation of their choice and them lead them through the whole course of world war 2 using all military forces at your disposal to defend your country. What we really like about this game is that it enables players to see the world war through the perspectives of many different countries as they attempt to defend their borders or on the other hand complete invasions of the lesser countries. There is a wide variety of weaponry available for players to use which include aircraft, sea craft as well as the obvious ground forces which were so formidable during this time. The games graphics are brilliantly created in every way and really does capture the essence of the period perfectly and thus makes the game so much more enjoyable. Overall this game is brilliant and we cannot recommend it enough to all of our readers and we are sure you will love it as much as we do. 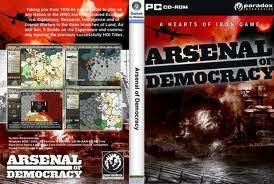 We have compiled a Review System for this, of which Arsenal of Democracy is Rated as Five Stars, the highest possible score from the Game Reviews Team. 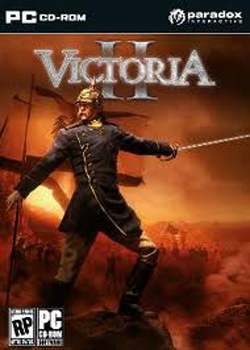 When we first received the Victoria 2 game from Paradox Interactive we had great aspirations for this game as from everything we had seen about the game before its release it looked like it was going to be a real classic. Unfortunately this could not have been further from the truth as we found out after a few hours of attempting to enjoy this game. Like many of the other games of this genre from Paradox Interactive this game looked sensational on the front of it but as soon as we began playing the game we found it highly disappointing which is a real shame. The game play is very basic and has no real substance to it with many aspects of the story line being rather mixed up and if we tell the truth very two dimensional. The best part of the game is the visuals which we have to say are quite stunning with highly detailed scenes and characters throughout the game. 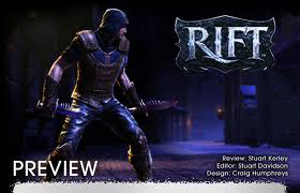 It is a shame that this aspect could not have made the whole game better but unfortunately it could not and this is why the Game Reviews team have awarded this title an average rating. We have compiled a Review System for this, of which Victoria 2 is Rated as Three Stars, the third highest score from the Game Reviews Team. The Spellforce series has become one of the most popular role play game titles in the world today which has gained millions of gaming fans from across the world ever since the series began a few years back. 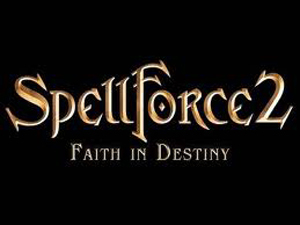 Now with the new expansion pack available being Spellforce 2 Faith in Destiny, we see many all new features come to life which we have to say adds so much more to the overall feel and enjoyment of the game and we have to say it mesmerized us right from the off and we love it. Players will need to lead their characters into many different battles as they fight numerous enemies of the land as well as mythical creatures such as dragons, trolls and evil dwarfs across many different landscapes. One of the best features of this game is the ability to switch from an above view to a third person view which is great for fighting scenes as you will find much more control over your characters. The graphics within the game are slightly basic but still offer all round good visuals which really do depict the overall setting of the game and this coupled with the innovative and exciting game play is what makes this game so good all round and we feel it is totally brilliant. We have compiled a Rating System for this, of which Spellforce 2 is Rated as Four Stars, the second highest possible score from the Game Review Team. 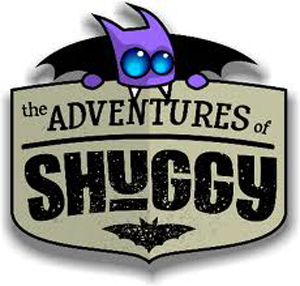 The Adventures of Shuggy is a revolutionary new platform game for the PC and Mac platforms that takes the world of adventure to whole new levels and provides a completely outstanding gaming experience for all those who play it. Our first thoughts of this game were that it looked quite basic in design with 2D style levels which reminded us of our youth during the birth of the digital gaming age in the late eighties. The fact is although this game may look vintage in many ways the concept and delivery of the game is anything but this as we found it to be captivating right from the off. Players will be treated to hundreds of enthralling levels where you must use all of your skills and know how to negotiate various dangers littered around the levels. The graphics as previously mentioned may not be the most visually striking you will ever see but they keep the game within the style the developers have tried to keep and it does this very well. Game play is the best part of this game by far as we found ourselves glued to the screen for hours on end and loved every minute of it. Overall this game was well worth the time it took reviewing it but would we play it again? Yes we would be we could not see it being a game that you would return to after a short while as it is very limited in many ways. We have compiled a Review System for this, of which The Adventures of Shuggy is rated as Three Stars, the third highest possible score from the Game Reviews Team. 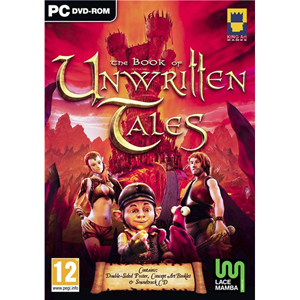 The Book of Unwritten Tales is one of the strangest but enjoyable games we have come across in all our years of being leading video games reviewers as the concept is like nothing we have ever seen before. The game is a point and click role play game that takes players on one of the most challenging and exciting missions of any game from this genre and is thoroughly enjoyable right from the word go. The game is filled with large amounts of weird creatures as well as extremely dark humour that make the game extremely good fun. What we found about this game is that all four of the missions that are available to you offer something different so you will never feel like you are just playing the same level or story over and over again like many games. The graphics are amazing with beautifully crafted scenery and locations which depict the era the game is set in perfectly and make the game so much more realistic than we could ever have imagined. The game play again is very easy to pick up as it is as simple as point, click and go so even the most novice gamer can become a grand master within minutes. All in all this game is tremendous and we love it so much that we just have to recommend it to all of our readers. We have compiled a Review System for this, of which The Book of Unwritten Tales is Rated as Five Stars, the highest possible score from the Game Review Team. 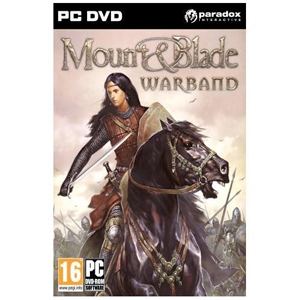 Mount and Blade Warband is the role play game of the future which has enjoyed huge success ever since it was first released late last year and has won many prestigious awards also during this time. 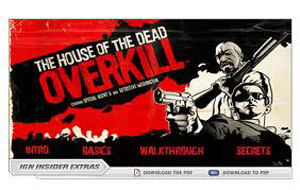 The game has been improved so much from the previous edition with an all new games engine which provides a huge array of gaming features for the gamer to take advantage of. All of the maps within the game have been made much bigger offering a much more comprehensive coverage of the areas within the game. One of the best aspects of this game is the fact that everything looks so real with the graphics having beautiful colours as well as some of the most striking locations and characters you could ask for. The only downfall of this game is that the game play is quite complex and is very hard to get to grips with so if you are new to the series of gaming in general you may find yourself having many problems or having to watch lots of tutorial videos which can become quite frustrating. Overall we loved this game and even though it has its faults it is still well worth having in your collection that’s for sure. We have compiled a Review System for this, of which is Rated as Four Stars, the second highest possible score from the Game Review Team. The sixth edition of the Might and Magic series is one of the most highly anticipated video games releases of the year and after many hours playing this exceptional game we have to say we could not have asked for a better gaming experience as it was truly sensational. Once again players are charged with leading their characters through many dangers as they embark on one of the most challenging quests ever to be experienced in this series. 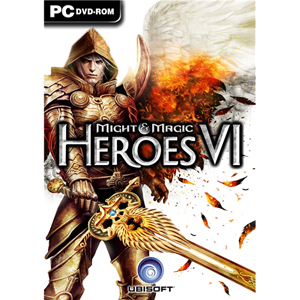 Might and Magic Heroes 4 has some of the most detailed and striking visuals you will ever see in a game from this genre with every detail giving the perfect feel to the game so the story becomes more realistic than you could have ever wished for. Game play again is exceptional as the game can be picked up by any level of gamer within minutes and provide so many hours of endless fun we think it is a must for any gamers collection and this is why we love it so much. 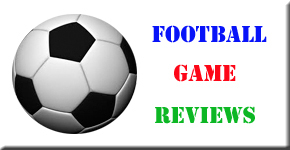 We have compiled a Review System for this, of which is Rated as Five Stars, the highest possible score from the Game Review Team. We have bee spoiled in many ways in the role play genre as we have had the industrial world of the Skyrim series to get stuck into for some time but forget about that for now as we have a game here that reaches all new heights for this genre. The best thing about the Xenoblade Chronicles game is that it allows you to enter a world of fantasy and magic which is much more pleasing than the grey and dismal world of Skyrim. The graphics make all of the visuals jaw dropping good all the way through the game which brings an air of realism to the game which makes it so much better than any that have come before. The plot of the game has been thought out very well as everything throughout the game ties in together perfectly and offers a brilliant and addicted gaming experience you will never forget. We certainly think this game is worth buying for role play game fans as we are pretty damn sure you will never look back. We have compiled a Review System for this, of which Xenoblade Chronicles is Rated as Five Stars, the highest possible score from the Game Review Team. What we found from this new role play game from Piranha Bites Games is that it is pretty similar to the first edition that we have played. We found the Gothic 2 game to be pretty average right from the start as it added few new concepts or any other features which are noteworthy from the original game. The game play of the game is very basic which really do effect the enjoyment of the game with vanishing characters between levels and much more. The best part of the game which save it from the lowest rating is the graphics as they are good all round with beautiful colours and highly detailed landscpaes and locations. Overall we were just so disappointed with this title and feel that many of our readers would be also hence our very low rating for this game. 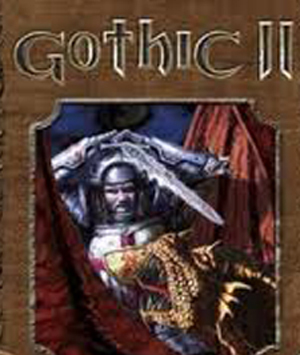 We have compiled a Review System for this, of which Gothic 2 is Rated as Two Stars, the second lowest possible score from the Game Reviews Team. 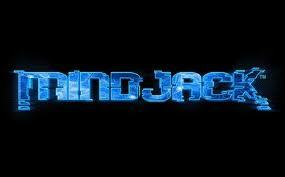 Square Enix have brought us some classic games over the years but in respect of Mindjack they offer us arguably their most sophisticated and revolutionary game they have ever created and right from the word go this game just delivers on every levels possible. Players are thrust into a chaotic and futuristic world where technology has overun the thinking of the worlds governments and now corruption and conspiracies reign supreme as the world has fallen into darkness. Players must lead their military forces into battle against the evil conspirators as you attempt to prize their hands away from power and return the country to the power of the people. We played this game for soem time and we have to say that we loved every moment of it as the game play is some of the best we have experienced this year and is extremely free running and so addictive. Graphics wise we should not really need to say really as all of the games created by Square Enix have stunning graphics and this could not be more true about Mindjack. All in all this game is definitely one to have in your collection and we can see it being a huge hit around the gaming world. We have compiled a Rating System for this, of which Mindjack is Rated as Five Stars, the highest possible score from the Game Review Team. In general we are not too big a fan of games such as the Pokemon series so the prospect of reviewing a game which was basically Pokemon gone medieval was not one of the most exciting feelings we have ever had. On first glance Rainbow Moon looks very primitive as the graphics are very basic throughout the game and offer nothing new to what we have seen in other games like this in the past few years. Not to say the graphics are bad but just that they were lacking in any real cutting edge and we felt the developers had played it much too safe with this title. The game play is actually very good for a role play game and we found that the more we played it the more we enjoyed it so the game is not a total write off. All in all this game is not going to blow your minds away but it is still a good all round game which we are sure fans of the genre will enjoy. 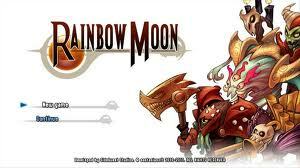 We have compiled a Review System for this, of which Rainbow Moon is rated as Three Stars, the third highest possible score from the Game Reviews Team. After the huge success of the True Crime game last year which was one of Activisions Flagship games of 2011 we knew this genre of game would be one to watch in the near future and we were not wrong as this all new Sleeping Dogs game from Square Enix delivers a whole new gaming experience which is simply outstanding. Our first thought of the game were how much better it was than other games of this type such as Grand Theft Auto and True Crime as it offers a much larger scale of levels than both of these great games. Players are plunged into a chaotic world where crime has taken over the city and the police and armies are over run with drugs and murders so it is up to you to eliminate the main sources of these crimes. The game delivers some of the best game play experiences we have had in recent times as it is both highly addictive and great fun throughout offering many never before seen features that make the game awesome. Graphically it is again a masterpiece with fast moving and highly detailed imagery all through the game and we have to say we have not seen anything this excellent in a long time. Game Reviews love this game and for that reason we have awarded it the perfect score as we feel it thoroughly deserves it. 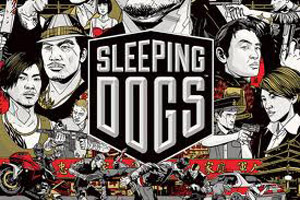 We have compiled a Review System for this, of which Sleeping Dogs is Rated as Five Stars, the highest possible score from the Game Reviews Team. 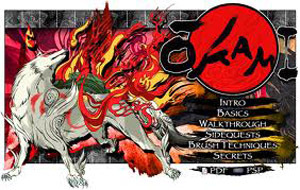 Okami is one of the most highly anticipated platform based games of the year and from what we have seen of this game you fans of this style of game are in for a treat as the game is thoroughly enjoyable right from the word go. The basic story of the game is that there is a small village that has lived in peace for hundreds of years and the inhabitants have kept themselves to themselves during this time and lived quiet and happy lives. Now there has been a dramatic change as the village has been cursed by an evil entity causing chaos and destruction through the villager’s homes. 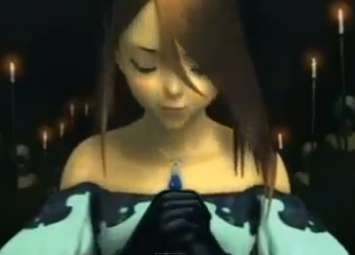 It is up to the player to attempt to eliminate the curse so the villagers can return to their normal lives. The game has very good graphical content that is well designed like Japanese comic book which is so much different to what we have seen before. In respect of game play the game is very good but nothing special and compared to other games from this genre you may find it quite boring after a short while which is quite disappointing. We have compiled a Review System for this, of which Okami is Rated as Two Stars, the second lowest possible score from the Game Reviews Team. Torchlight is one of the most revolutionary role play games we have ever come across in all our years of being leading games reviewers so we thought we just had to provide a great review for this game so our readers could fully appreciate just how good this wonderful game is. 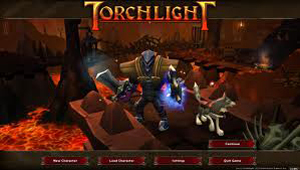 Torchlight takes players into the bloodthirsty and highly dangerous middle aged world where players must lead their group of heroes into many different battles across numerous locations whilst ensuring the safety of their troops. The game is filled with many challenging features and tasks for players to get their teeth stuck into and as we found out these tasks are extremely difficult and take all of your brain power and skills to complete. The team at Rusic Games have done a fantastic job with the graphics of this game as they are very high detailed and have been designed perfectly to deliver a very realistic feel to the game. In regards of game play we are sure you will find none better than this as it is extremely addictive and great fun throughout and this is why the Game Reviews Team absolutely love this title and highly recommend it to our readers. We have compiled a Rating System for this, of which Torchlight is Rated as Four Stars, the second highest possible score from the Game Review Team. With so many role play games on offer to the gaming world choosing the right one for you can be the difference between hours of fun game play or minutes of disappointment so when we first got hold of the new Neptunes Pride game we hoped it would live up to its billing as a revolutionary role play game from the team at Iron Helmet Games. Unfortunately we found out after playing this game that it is none of the above as it is very basic looking in the way of both graphics and game play and if we are honest does not bring anything unique to the table which is different to what we have seen before. Not to say the game is a total loss at all as it is quite good in many ways but only that it did not blow our socks off like we had expected. The graphics are very well created but with the way these games run we feel they did not have the chance to show of the full range of capabilities of them which was a real shame. The game play is again good but nothing special and we found the story line to be so similar to other games that we did not enjoy it as much as we should have as previous games have delivered it much better than this game. In summary this game is ok but we feel you could do and find much better games if you looked. 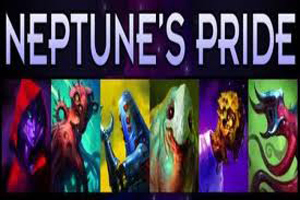 We have compiled a Review System for this, of which Neptunes Pride is rated as Three Stars, the third highest possible score from the Game Reviews Team. 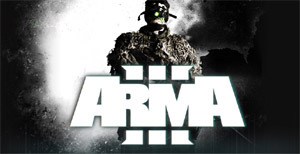 If you are a fan of the military based tactical game then have we found one of the best ever games for you in the shape of the third edition of the Arma series as it is simply breathtaking right from the word go. What this game provides is one of the most realistic and life like combat games which brings fast paced action and battles that will literally blow your socks off. Arma 3 Players will be treated to many all new features that make the art of warfare so much more skilled and exciting as you position your military forces against your enemies across many different landscapes from sand covered battle fields to jungle warfare. After many hours of playing this new game we found it to be extremely interesting and offered so much detail unlike any we have seen before and it is truly amazing to put it mildly. We have played many games like this over the years but none have had the level of quality of this game as we found it to be outstanding. The graphics are very good and run freely throughout the game which provides a breathtaking array of visuals that we could never have imagined possible. In summary this game is certainly one to have if this style of game is your thing as we know full well you will love it. We have compiled a Review System for this, of which Arma 3 is Rated as Five Stars, the highest possible score from the Game Reviews Team. 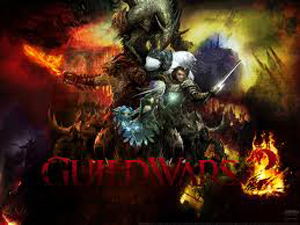 The second instalment of the Guild Wars series is upon us and oh boy has this game been worth every moment of the wait as we found it to be quite brilliant right from the word go and excellend our expectations more than we would have beleived possible. Right from the word go Guild Wars 2 delivered on every level as it had both brilliant graphics as well as some of the most innovative game play you could expect from a role play based game. As we began the game we immediately found that it was very easy to get to grips with as it features many different tutorials which help you incredibly if you have never played the game before which is a great bonus. all of the scenes and battles are designed to give you the perfect 3D experience so you can feel the heat of the battle in a more realistic fasion than ever before. Overall this has to be the best role play game we have ever had the chance to review and we cannot recommend it enough to all our readers as you really do need this one in your collection trust us. The Price for Guild Wars 2 is Rated as Standard for this type of game. We have compiled a Review System for this, of which Guild Wars 2 is Rated as Five Stars, the highest possible score from the Game Reviews Team. 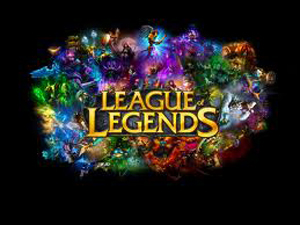 Another blockbuster of a role play game has finally hit our gaming computers and with this all new League of Legends title we had high aspirations as on the front of the game and the concept we thought it could only be a huge hit. The fact is this game is slightly disappointing as it offers nothing new to the games we have already seen in the past from this genre of game and in fact it takes many of its concepts from these games. The story line is ok but nothing special as you can battle the usual array of mythical monsters such as goblins, dwarfs, dragons and giant spiders among others. Even the graphics on this game are veru basic and do not do the best job of delivering the feel of a medieval world but they do have the saving grace of being very smooth running which is the only benefit from them. 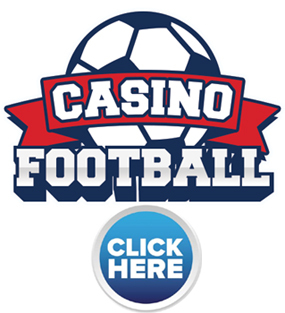 The game play in the game is one of the best features as everything is laid out for ease of use and the tasks and missions are not that to complex so it can be played by anyone. shame as we had such high hopes for this game. We have compiled a Review System for this, of which League of Legends is rated as Three Stars, the third highest possible score from the Game Reviews Team. The role play genre has fast become one of the most popular type of game with gamers all over the world as it gives the player the chance to step out of their shoes and into someone elses as they hunt for fun and excitement. 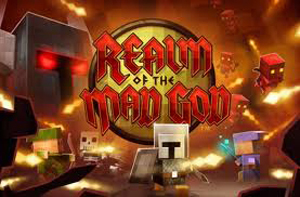 Realm of The Mad God is definitely one of the most interesting of these games we have played so far as the concept is extremely revolutionary to say the least and has many twists and turns that keep gamers on the edge of their seats for hours on end. 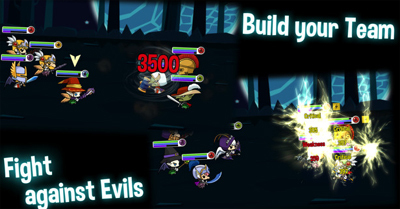 The game takes players into the middle of a style progression game where they must undertake many medieval challenges as they try to uncover many different legends which have been throughout the land for many years. The creators Kabam games have done a fantastic job with the graphics of this game as for a role play game they are quite sophisticated and high tech which is great to see and only adds to the overall fell of the game. Like with all role play games game play is where it is at in this game as after many hours of reviewing this title we had so much fun that we just could not put it down which is always a sign of a great game. We have compiled a Review System for this, of which Realm of The Mad God is Rated as Five Stars, the highest possible score from the Game Review Team.